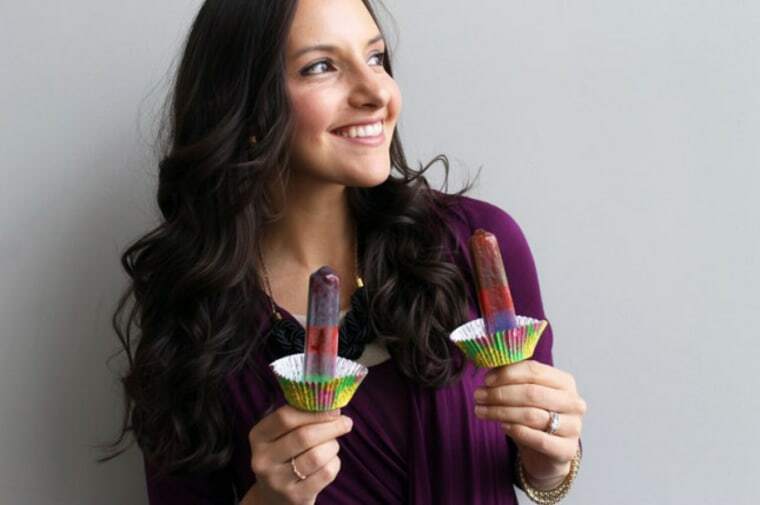 This is such a great trick for getting to hard-to-reach candles. 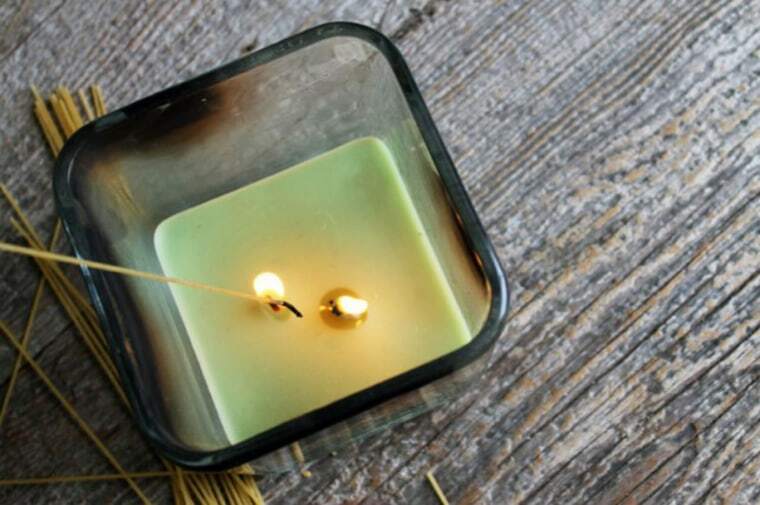 Just light the end of a dry spaghetti noodle and stick deep into your votive to light your wicks. 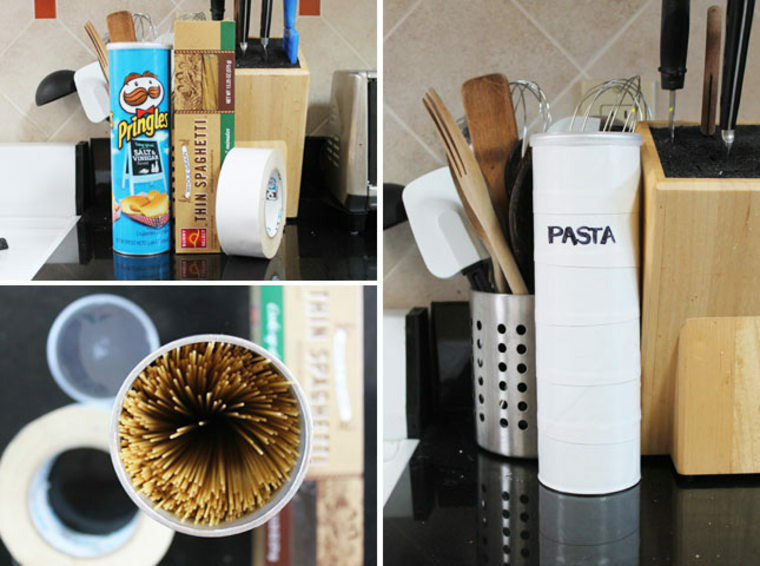 Speaking of pasta, here’s how to keep that spaghetti fresher longer: Store it in an old Pringles can! It happens to be the perfect length for your noodles, and you can even decorate the outside to look nice in your pantry or on countertops. These are great for holding other types of dry goods as well. I will fully admit to having hammered my fingers while trying to hammer a nail before. But now I know this trick! 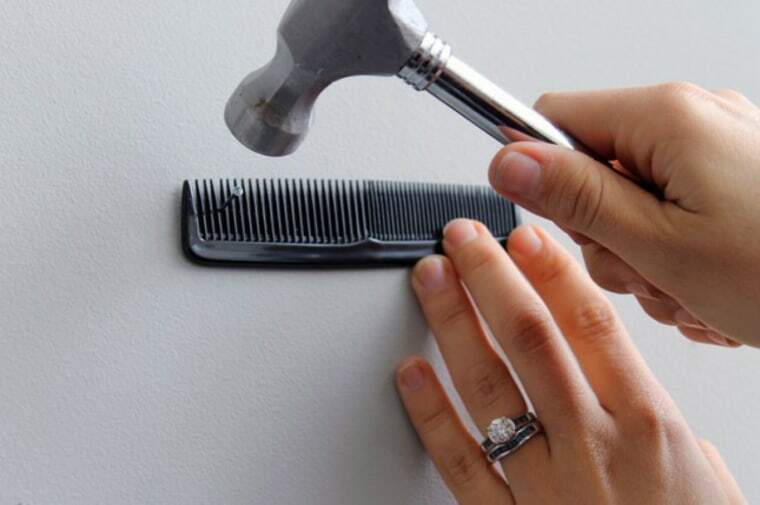 You can save your fingers from getting all busted up by using a comb to hold nails in place. I LOVE this one, especially for beach season or rainy season. 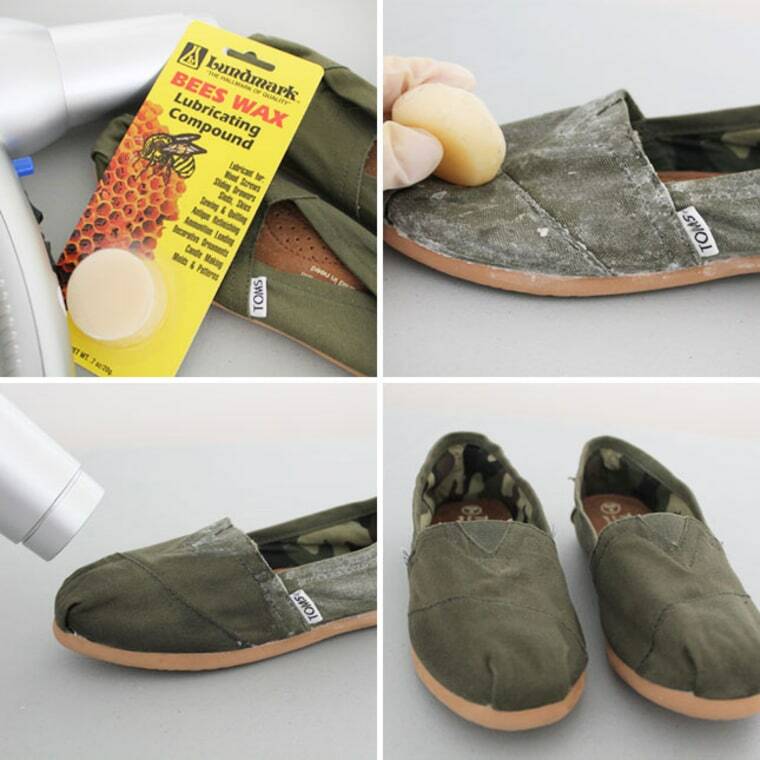 You can use a bit of beeswax to waterproof your shoes! Just rub the wax onto your shoes, blow-dry to seal, and you’re done. 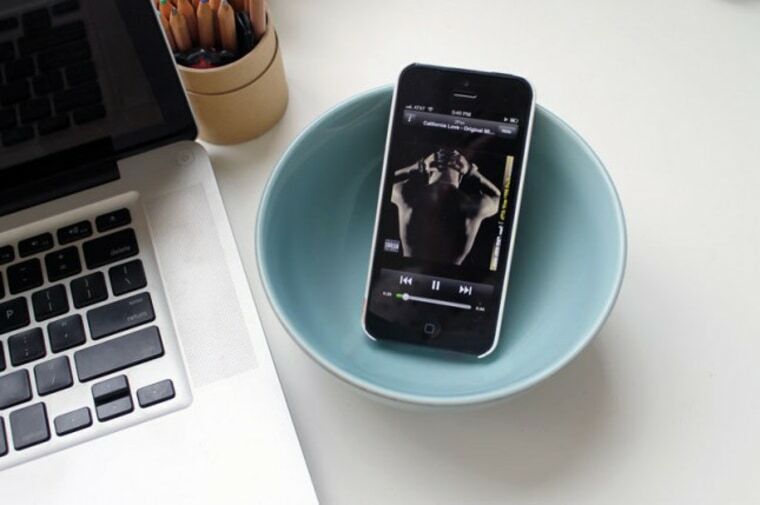 If you’re having an impromptu dance party or dinner party and missing some great speakers for your music, try pulling out a bowl to add some amplification to your tunes. And finally, a great trick for those super-rushed mornings. 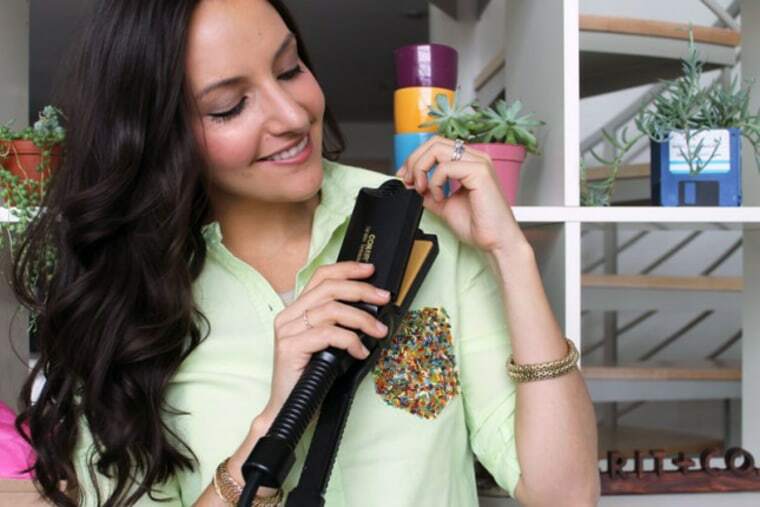 Use a hair straightener to quickly iron a cuff or collar. My husband steals mine to use on his shirts all the time!